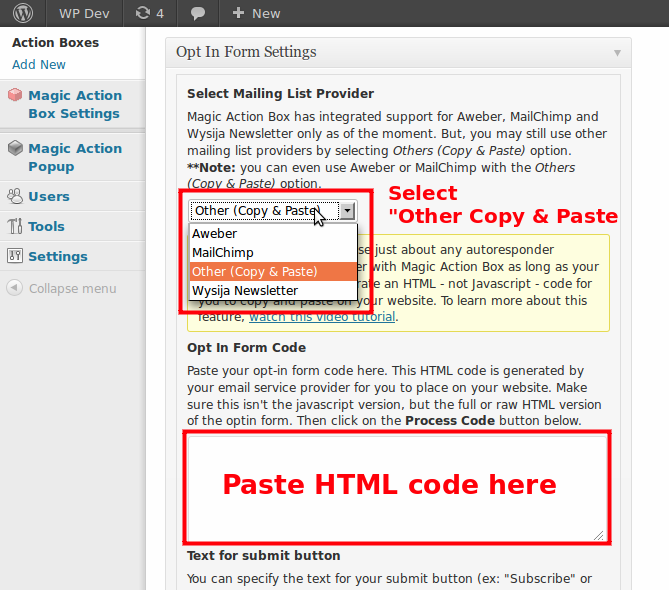 This guide will walk you through integrating other email list providers with Magic Action Box using custom HTML form code. 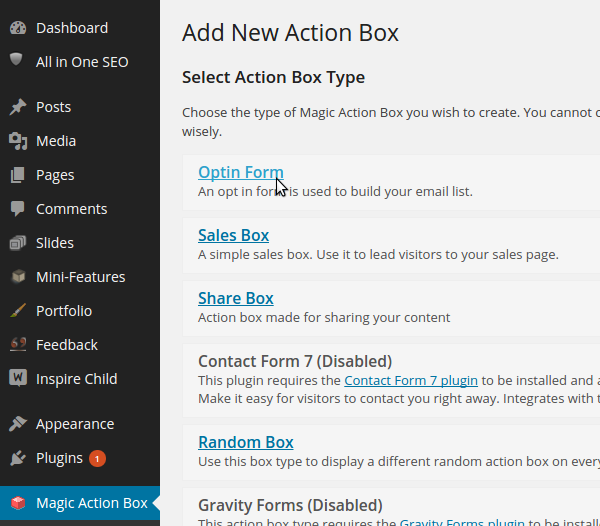 This makes it possible to connect any email list service with Magic Action Box as long as they provide an HTML form code. 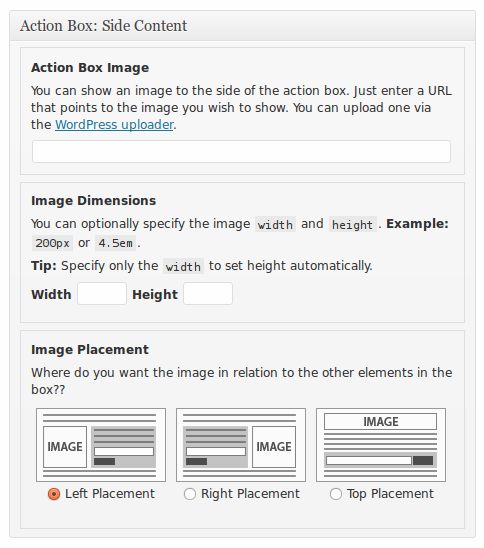 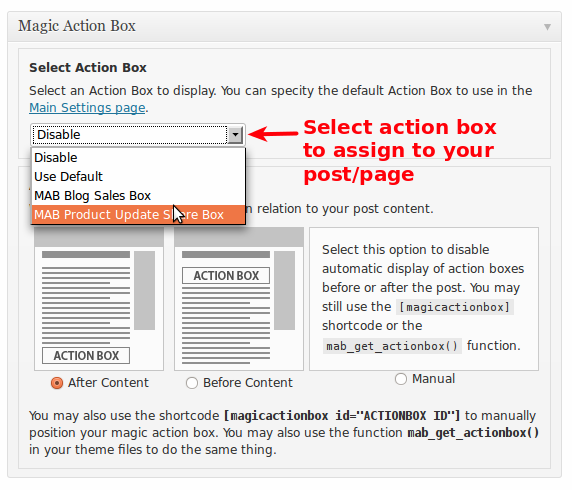 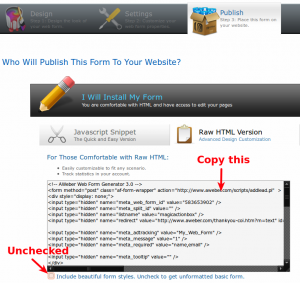 What we’re going to do is to add an opt-in box at the bottom of your blog post. 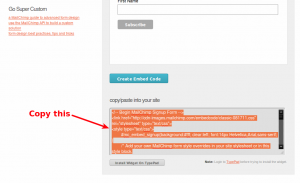 If you’re wondering why the bottom of your blog post is the best place to put your opt-in box, check out this article for the reasons why. 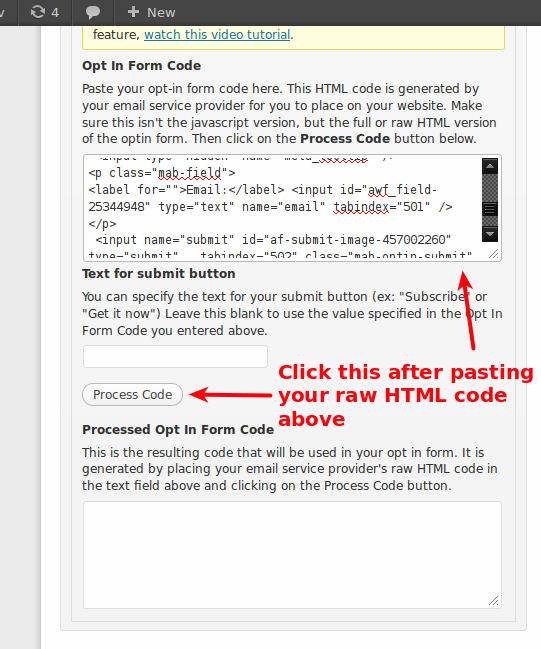 Log in to your email list service provider and grab the HTML form code. 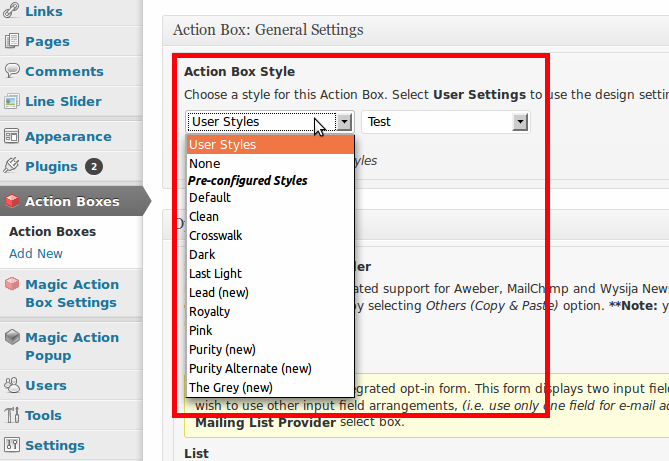 Note: MAB also has built-in support for MailChimp, Aweber, MailPoet and Postmatic.